Not even three layers of old shingles could keep this historic home dry. The persistent leaks frustrated the homeowner and left her wanting change. 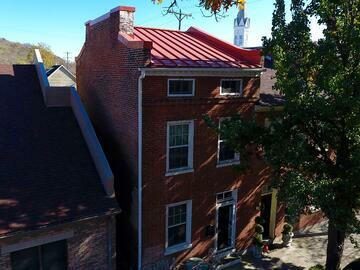 She knew a metal roof would solve the leaks and also improve the look and feel of her historic home. 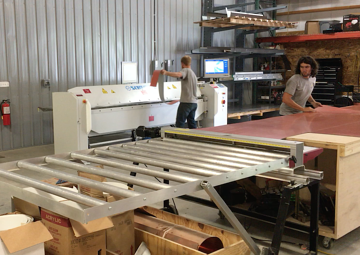 After visiting the Exterior Pro show room and metal fabrication shop she decided on a standing seam metal roof. 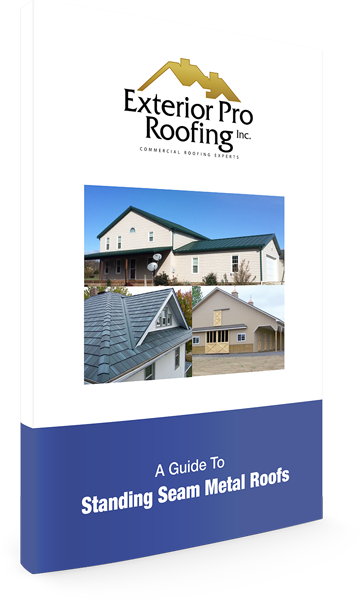 Standing seam metal roofing doesn't have exposed screws and is a heavier gauge than screw down or pole barn metal. 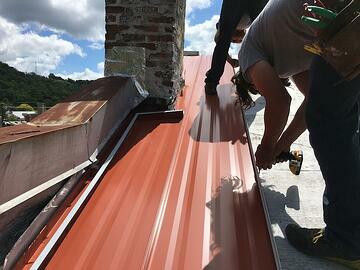 Standing seam metal roofing also has the necessary accessories to properly flash chimneys and wall caps. Before any metal roofing could be installed, all three layers of shingles had to be removed and the wood decking cleaned. Next, a layer of high temperature ice and water shield was installed to serve as a long term and heavy-duty underlayment. It also protects the home from weather during the metal roof installation process. Exterior Pro custom fabricated the metal trims and roofing panels so everything fit just as it was supposed to. The chimney flashings and wall caps were also fabricated in their shop. With the prep work done, it was time to start hanging some metal roofing. 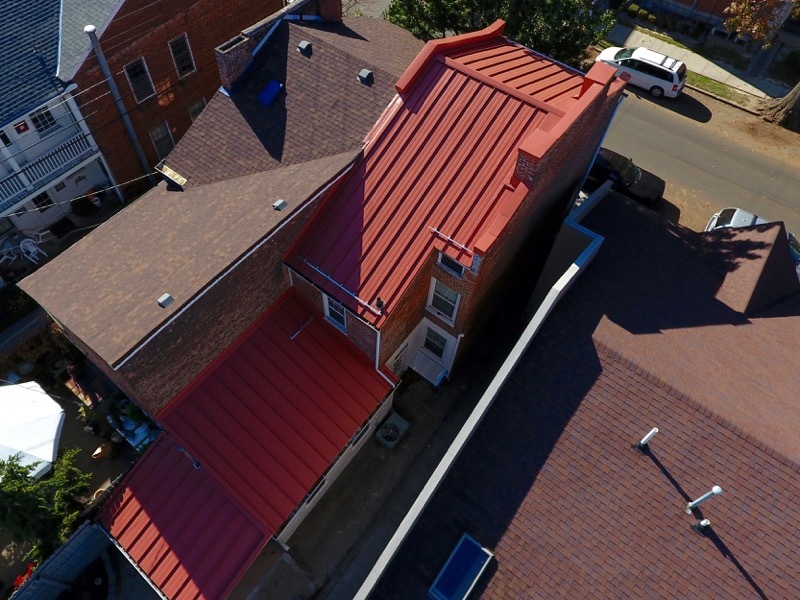 It took just about a week of work with a skilled metal roofing crew to complete the project start to finish. 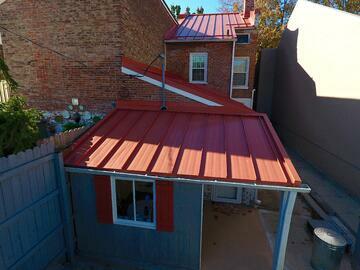 The standing seam metal roof couldn't look better. It really matches the home’s history and style very well. Last but not least, snow guards were installed to keep pedestrians safe from falling snow and ice in the Winter months. New 6” gutters were installed in the back of the home to carry water away from the patio area.